I already recognized yesterday that our digital identity journey is coming to an end, unfortunately! Today I’m sitting in class with a smile in one eye and tears in the other one, whereas the tearing eye outweighs. I’m glad that I learned a lot about our digital identity and its importance, it will definitely be on my mind in the future as well, as I consider this field as very important and intersting at the same time, especially for the future. Our day started a bit later today with a discussion and the chance to ask any kinds of questions related to our course to Ken, in connection to this he showed us a small Youtube clip. 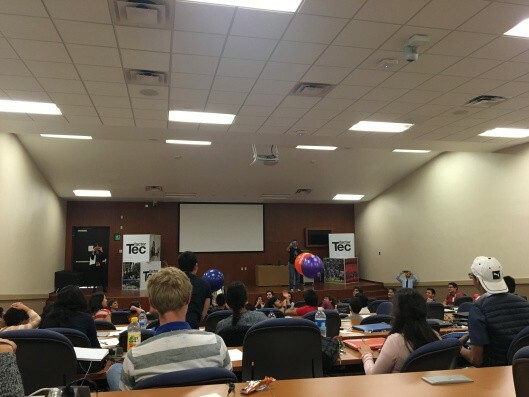 After that, Diego Zavala, our today’s guest speaker entered the stage and started his presentation. I regarded his presentation as very interesting and entertaining, I liked the assignment he wanted us to do at the end of his speech. After Diego was finished, and all students with their assignment, Ken entered the room again and continued the class. 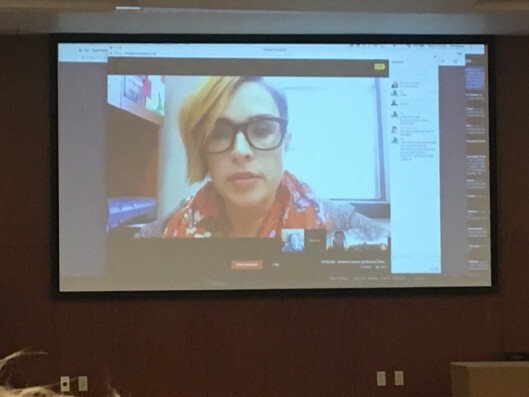 In connection to this, we saw 2 more guest speakers, that consisted of Rebecca Hogue and Helen DeWaard, which spoke to us via video conference. After that everbody of us recognized that seman i and our digital identity course is coming to an end :(((. Ken just said some final words under thunderous applause to us. At this point I would like to underline how much i appreciated it being in this course, as I learned a lot in this course. Day 4- Time is flying!!! WOW!!! I just realized today in class that it’s already the penultimate day of semana i and our beloved digital identity course . Today I would rather like to sum up my present experiences and impressions of the whole semana i than just summarizing this single day, in fact tomorrow, our last day, Ken is surprising us and we don’t know about the schedule, that’s why I think there is going to be a lot we can report about tomorrow. Our day started with an activity, which consisted of learning how to follow a Blog. Our tasks were to like or to comment on Blogs of our classmates. I appreciated this activity, in fact on the one hand we get an active insight into the Blogs of other people, on the other hand it motivates people and provides them with confidence, as they see that someone liked their Blog or commented in a positive way. After that, we continued with two more activities, which consisted of learning a new tool or resource and another photo/video safari (Yes, you are listening right, another photo safari!!!). As mentioned in a previous Blog post of mine, I really liked the photo/video safari, the same applied for the today. This photo/video safari was a liitle more important, as it represents a preparation for tomorrow’s (friday) classes (I’m excited!). Last but not least, we got to listen to another guest speaker today, which consisted of Maha Bali today. As always, I had alot of fun listening to our guest speaker, while learning a lot of new intersting stuff. Here is the link for everyone who would like to watch the full video of our guest speaker on Youtube: Video Conference with Maha Bali. What can I say? Time is flying, I really can’t believe that it is already thursday!!! The fact that the time I have spent in the digital identity course seems so short to me, refelcts the fun I had during this course with a lot of nice people. Again, I really appreciated the power and effort our lecturer Ken is putting into this course. I mean, the course content itself is probably not the most intersting stuff for most of the people, yet Ken managed it to structure the course as appealing as possible ( as already mentioned in Blog post of day 1). Further, really liked our guest speakers and the unique chance to listen to a bunch of nice, interesting and skilled people, that know what they are talking about. I had the chance to learn a lot of new things during the course and to meet new people. All in All I’m again pretty glad that I have choosen this course, my expectations have been met and sometimes even exceeded!!!! In this sense: looking forward to our last day tomorrow and like always, stay tuned!!!!!!!!! Day 3- Here we go again! My day just started fine, in fact I’m feeling much better and I’m almost cured from my cold. I feel more powerful and even more motivated than on the previous days, yet I’m not as full of power as our lecturer Ken. 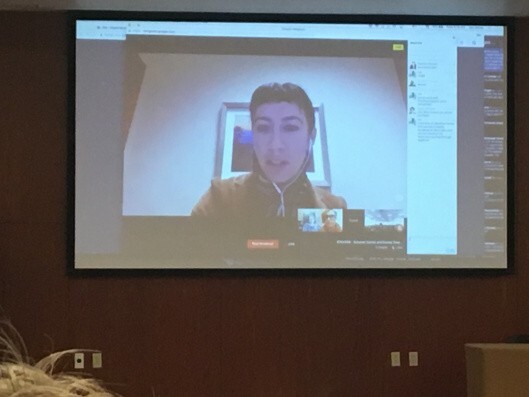 (which in my opinion is impossible) The class today started off with a short Youtube-Video, directly after we continued again with some guest speakers, that were connected via Video conference to us. The guest speakers for today consisted of Autumm Caines, Bonnie Stewart, Sundi Richard. After a brief introduction of every guest speaker, we continued with a presentation of Bonnie Stewart, where she talked about presence. She explained us how presence is being created, why it is important and how presence differs in the digital world from our ,,real world”. In connection to this, she told us about the difference between a visitor and a resident, I regarded Bonnie’s presentation as very interesting. After Bonnie’s presentation, Sundi Richard and Autumm Caines continued to speak and tied on Bonnie’s presentation. To be honest, the presentation got a bit messy at this point, as I lost the overview, and I was not able to follow the content unmitigated anymore. After aproximately 40minutes of listening to our 3 guest speakers, we stopped the live video conversation, in order to dedicate more time to other activities. These activities consisted of creating our own visitor/resident – personal/professional framework maps, our guest speakers talked about and explained to us. We spent about 40 additional minutes on this activity, including the discussion about our outcomes. I regarded this activity as pretty useful, in fact it helped us understanding the stuff our guest speakers were talking about. After we finished this activity, we were set free to go home or to interview a classmate we did not know so far. I have choosen the second option. ( to interview someone I did not know before in the room) This interview was quite fun, as I picked a Mexican classmate and I decided to do the interview in Spanish. ( at least I tried) At this point I would like to upload the interview with my Mexican classmate, but as it contains personal information and I did not ask for the permission to upload it here, I will not insert it on my Blog right now, sorry :(((. 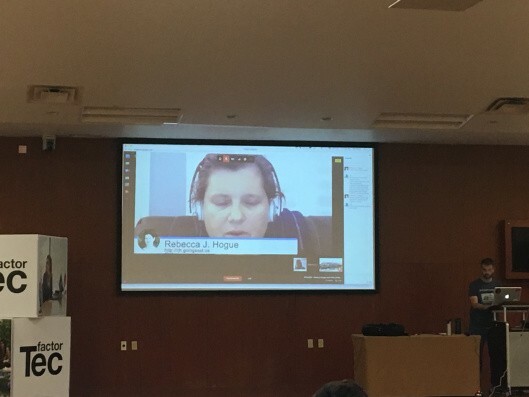 As always, I really enjoyed the Video conversation with our guest speakers and the content they were talking about, nevertheless I considered the video conference as a little bit ”unstructured”. For me personally, it was often difficult to focus on the presentation and to follow the content, as the permanent screen switching, screen sharing, the fade in of documents and the mapping activity confused me a lot, it gave me a hard time to understand everything completely. Nevertheless, it was another awesome day of semana i with some nice experiences, today we finished about an hour earlier as usual, which was nice as well. Great day, looking forward to tomorrow, and as always: STAY TUNED! Despite the fact that I got hit by a cold and not feeling 100 percent well today, I really enjoyed the second day of my digital identity course and I had a lot of fun. Our day started at 8am like yesterday with a powerful welcome of our lecturer Ken Bauer, and the chance for us (the students) to ask open questions about the previous day or some details about the schedule for the second day. In connection to that, we directly continued with our planned schedule and started the photo safari activity. For this activity we had to bring newspapers or magazines to class, from which we cut out meaningful frases and/or words to make creative fotos with on the campus. ( I would like to upload the pictures I made today on my Blog, but my mobilephone doesn’t work anymore for some reason, and therefore I’m not able to upload any of them. I will try to do this belated, I’m sorry :( ) At first I was not too enthusiastic about this activity to be honest, in fact it reminded me of some handicraft class in elementary school. Yet I enjoyed this activity later on, as we were able to get some fresh air on the campus, and as it represented some variety of sitting all day in class. All in all I had a really good day despite my cold, I definitely enjoyed the guest speakers. I’m looking forward to tomorrow and the the remaining week. In this sense: See you tomorrow and stay tuned!!! Day 1- let’s get started! Semana i started today, and thereby my digital identity course. 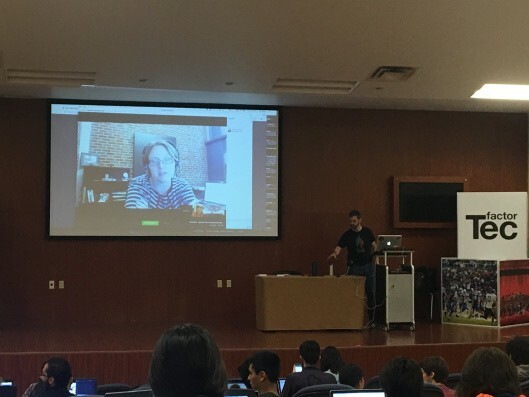 The lecturer of the digital identity course, Ken Bauer welcomed us today at 8am in the congress room 1 of Tecnologico de Monterrey with a brief introduction and an overview about the course content and the objectives. The course seems very interesting, the lecturer is really motivated and tries to shape and structure the course as appealing as possible, which in my opinion happened successful. I am very happy that I have chosen this course, and I hope to learn a lot about our traces we produce everyday on the internet and the implications of these for us during the next 4 days. After the video conference with our guest speaker for today, we continued with a small activity, where everybody in the audience was asked to write down a short text (in tweet size) about who we are, and each, 5 things we want to improve about ourselves, 5 things we like about ourselves, and 5 things other people don’t know about us on a small index card. To be honest, I did not quite get the intention of this activity, as nobody in the room seemed to be concerned with this activity. Almost everybody left the room early to go on the break, and as most of the people returned after 30-40minutes to the room, the activity did not seem to be a matter anymore at all, as we just continued with setting up our blogs, instead of paying a minute of attention to the activity we started before the break. What am I expecting during the next days?! I really enjoyed my first day of semana i, in particular the energy, power and joy Ken Bauer puts into this course. 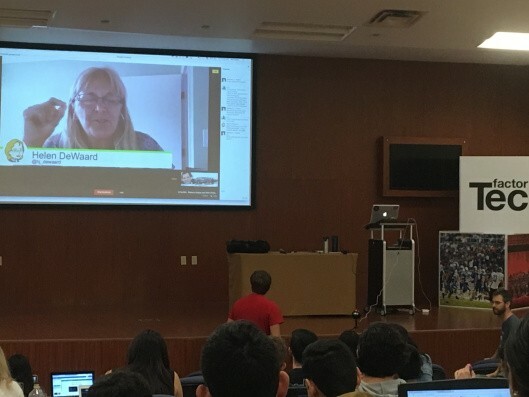 In addition, I regarded the video conference with Dave Cormier as really entertaining, I really appreciated the opportunity to ask Dave questions about surfing behavior on the Internet and its implications. When taking a look at the schedule for the next 4 days and the guest lecturers we are going to listen, I have to admit that I’m full of high expectations and I’m super stoked! I’m definitely looking forward to it!! !